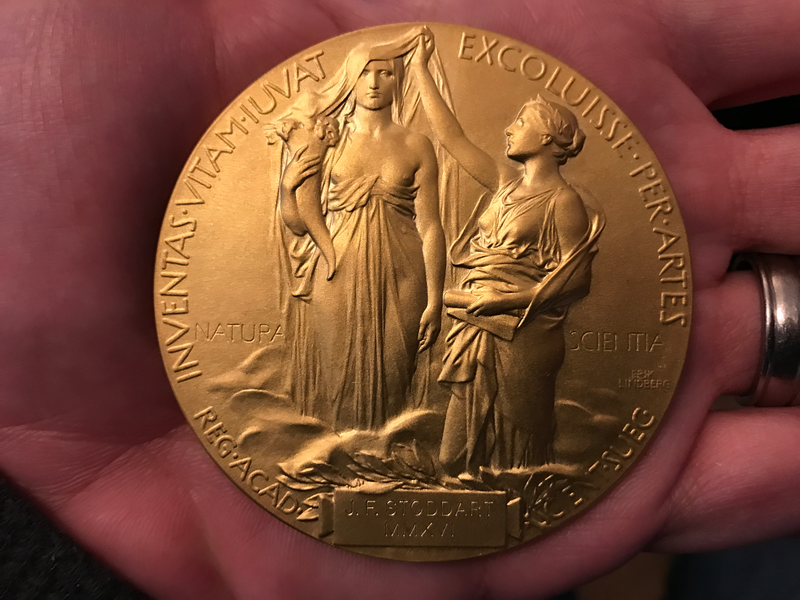 Last December I was fortunate enough to find myself in Sweden for almost a week to join in with the celebrations surrounding the 2016 Nobel Prize in Chemistry. It’s hard to put into words just what that was like (although I will try at some point in the hopefully not-too-distant future with a blog post). 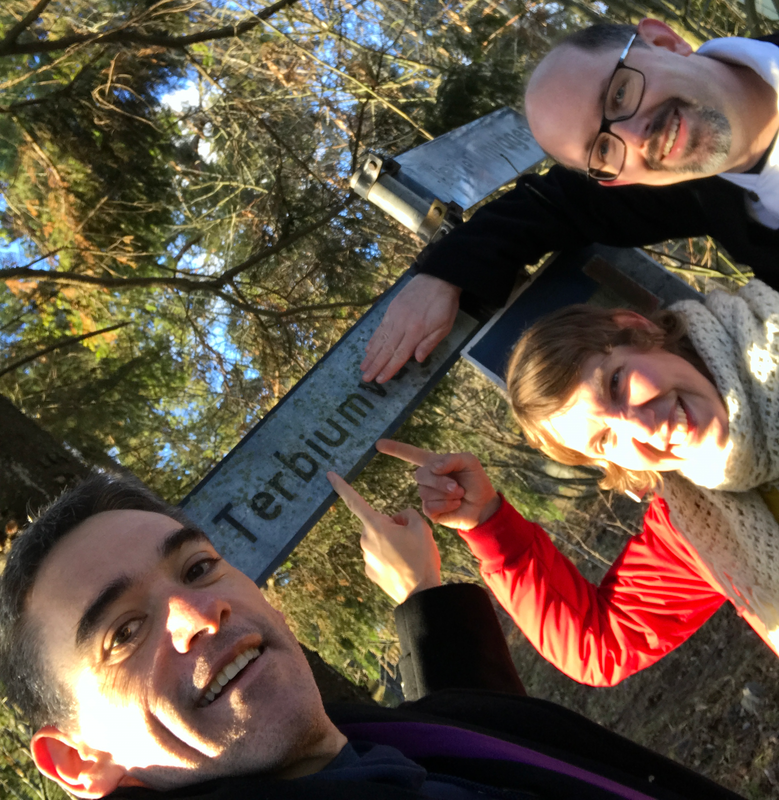 It was a busy week, but the day before the award ceremony and banquet on December 10th (it’s always on the anniversary of Alfred Nobel’s death), I had an opening in my schedule and an offer from Brett Thornton and Emma Karlsson to take me on a periodic-table pilgrimage. Brett has coauthored a range of essays for Nature Chemistry over the years and Emma has provided beautiful illustrations (one example can be found here) for some of them. 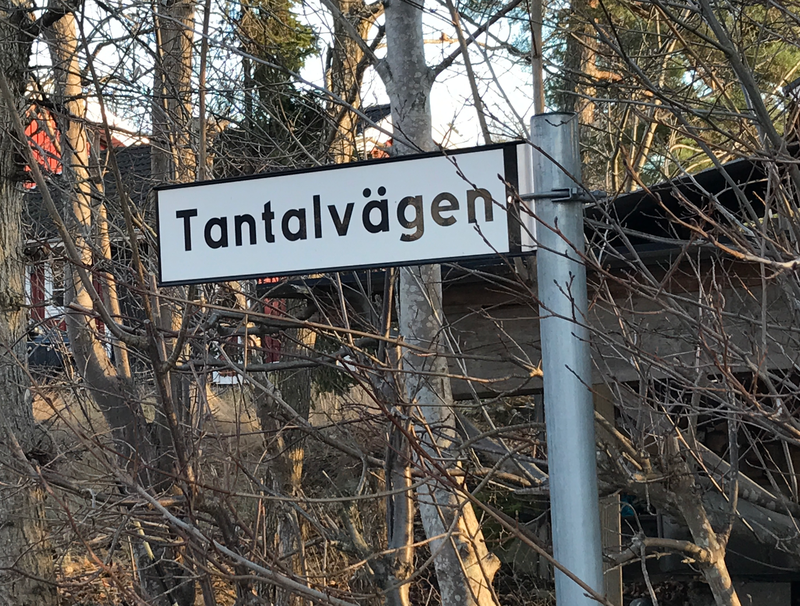 After discussing what the options were for some chemistry-themed tourism in and around Stockholm, I think it was Brett who pointed out that the small village of Ytterby isn’t all that far away. 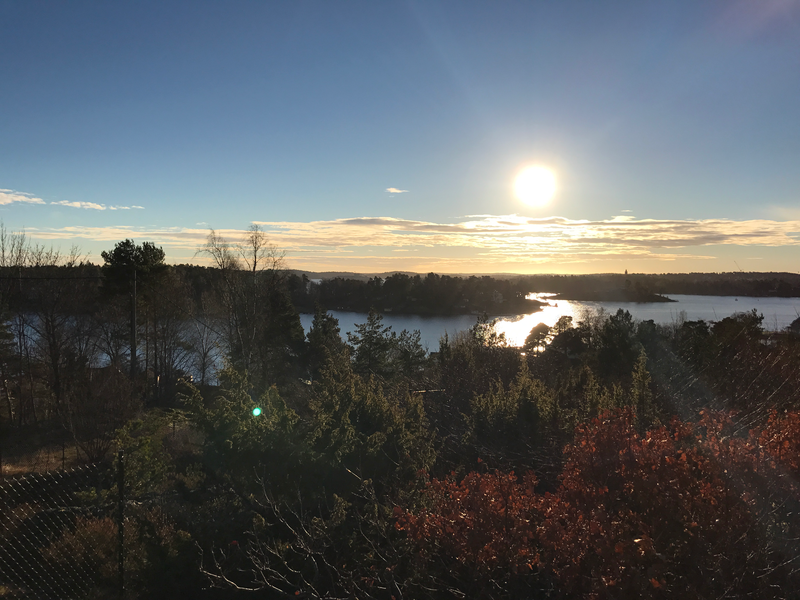 For the chemists reading this post, you’ll probably have some idea of the significance of Ytterby; for those of you who don’t, let me explain. There are now 118 recognized elements with a seat at the periodic table and 4 of them (just over 3% of them!) are named for this little Swedish village. 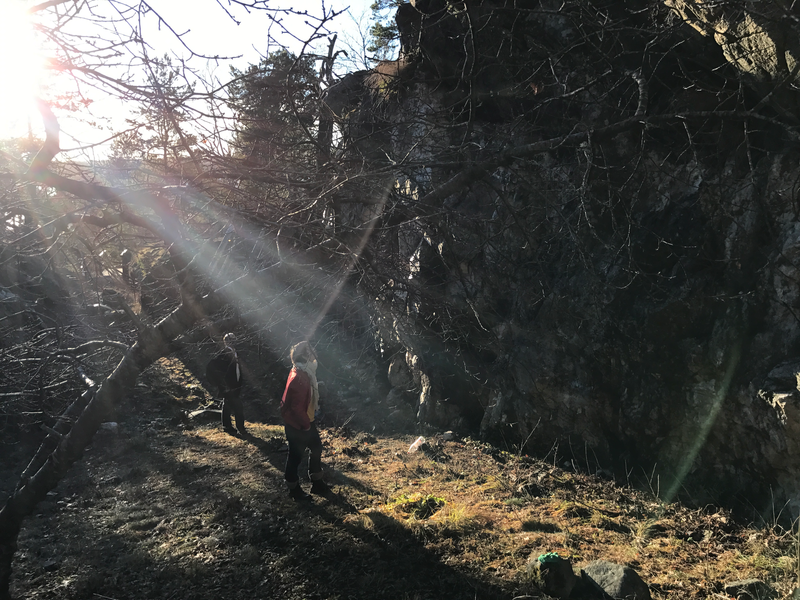 So, on Friday morning we set out by car from Stockholm and headed for a little place that has played a large part in the history of chemistry. 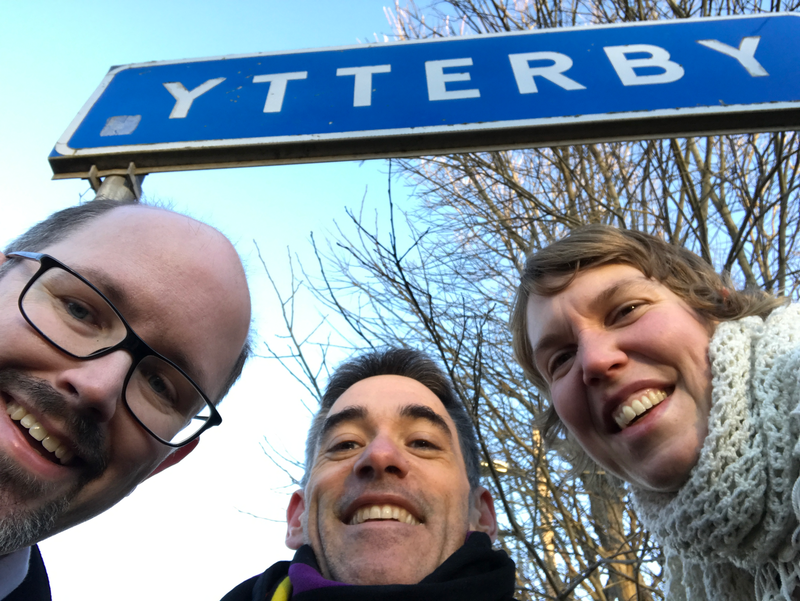 Ytterby attained! A sign-selfie with Brett and Emma. The story of Ytterby has been told by others on quite a few occasions and I’m not about to rehash it here. 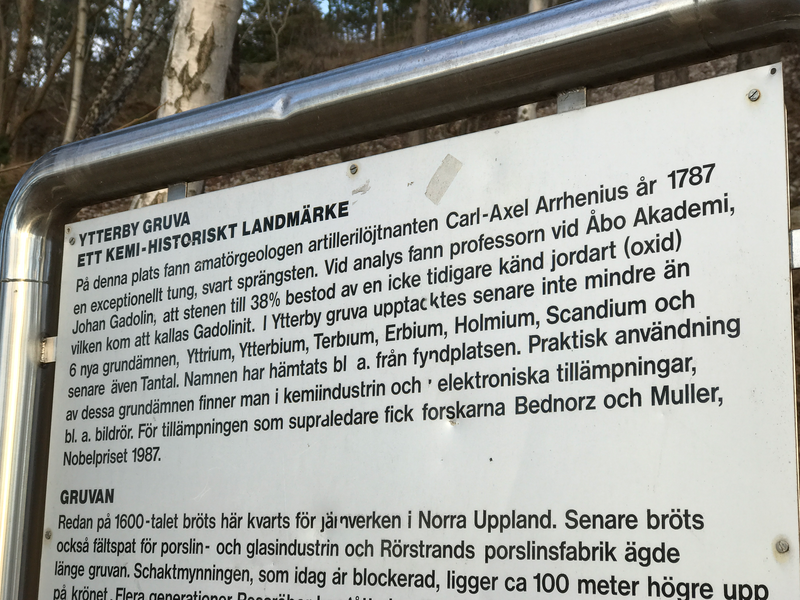 But to give you some context to the pictures below, here’s a brief summary: Ytterby is the home to a mine (closed since 1933) in which Carl Axel Arrhenius, a Lieutenant in the Swedish army (and no relation to that Arrhenius), found unusual heavy black rock in 1787. He sent samples to Johan Gadolin who analysed them and identified what later became known as yttria (yttrium oxide) which kicked off a chain of discoveries of new elements. 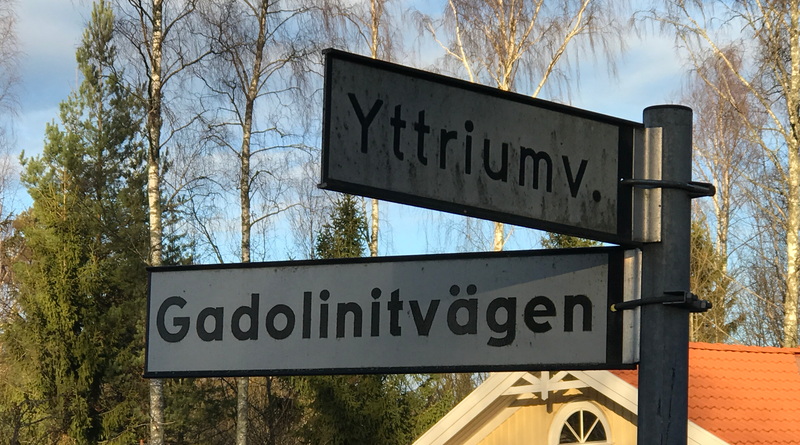 Although originally named ytterbite, the new black mineral found in Ytterby was later renamed gadolinite in honour of Gadolin. 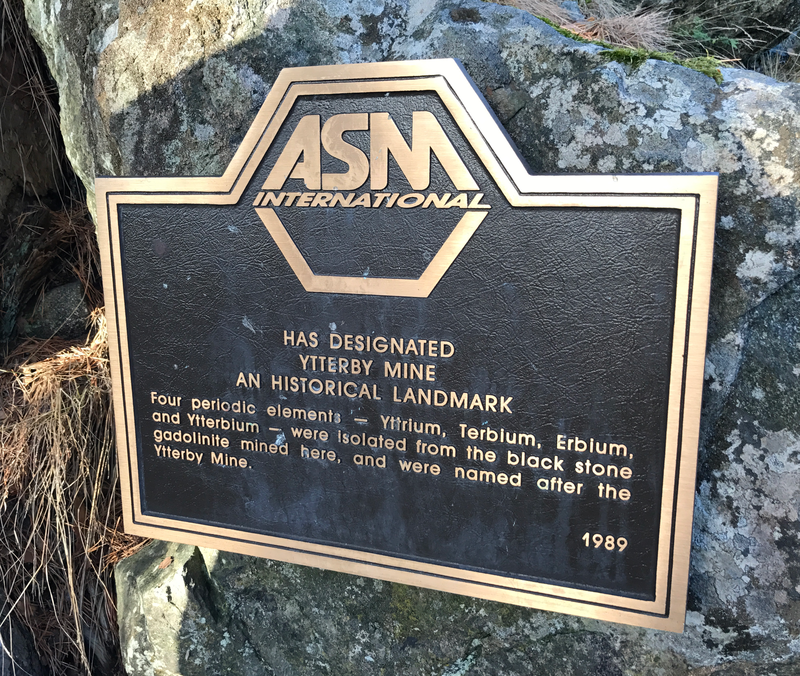 It turned out, however, that yttria samples weren’t just yttrium oxide, but contained other oxides and, ultimately, was the source of ten new elements: yttrium, terbium, gadolinium, erbium, thulium, holmium, dysprosium, ytterbium, lutetium and scandium (see more detailed posts here and here). The front of the sign – how’s your Swedish? The reverse side of the sign at the bottom of the mine steps. We then climbed up a set of wooden steps to reach the top of the filled-in vertical mine shaft. There’s a pretty good view once you’re up there. The steps leading up to the filled-in mine shaft. From the top of the steps there is a short path that leads into a small clearing that is surrounded on all sides by what’s still visible of the mine walls (presumably the shaft was not filled right to the top after the mine was closed). I really don’t know a lot about rock formations or geology, but Brett and Emma pointed out a few notable features in the mine walls. The one shown below is sort of a star-burst pattern, which is apparently an indication of radioactivity. 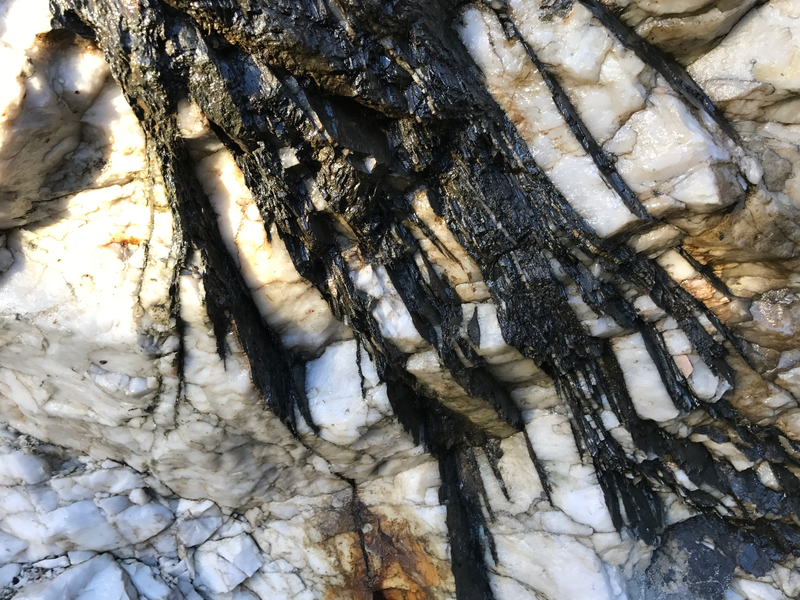 Perhaps my Google-fu is not up to it, but I couldn’t track down any more information about these patterns, so if any geologists are reading this, please comment and tell me more! There’s no doubt that Ytterby mine has relatively high levels of natural radioactivity though. 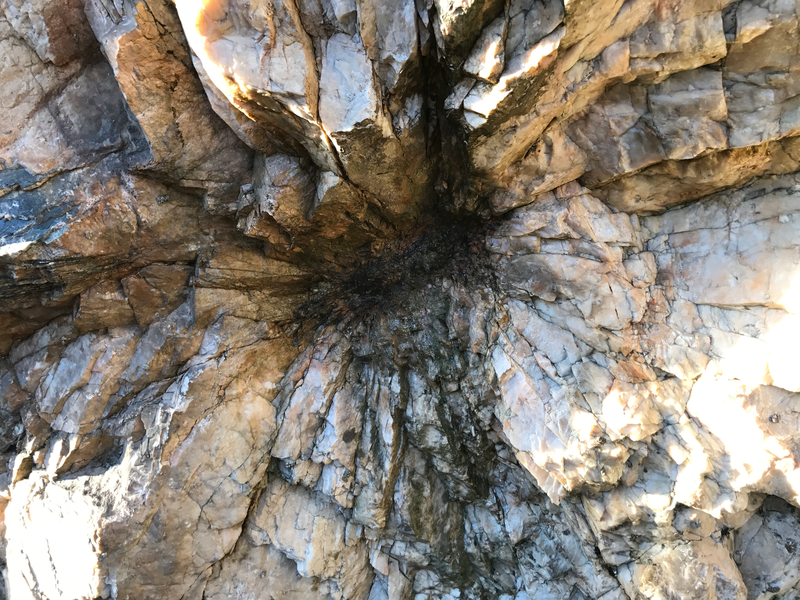 A star-burst pattern in the rock of the mine wall. 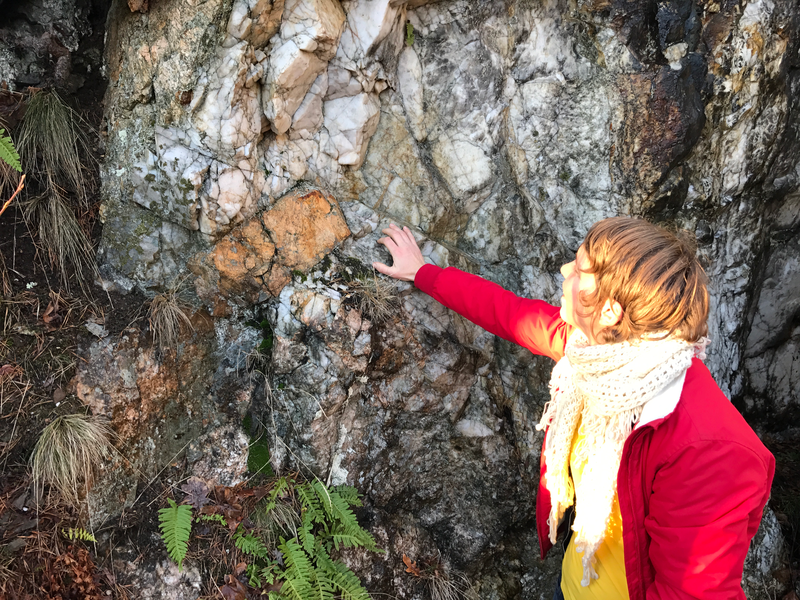 There’s also a fairly big crystal (I think Brett said it was feldspar) to be found in the mine wall – thanks to Emma for providing scale! A big orange-ish crystal in the mine wall! 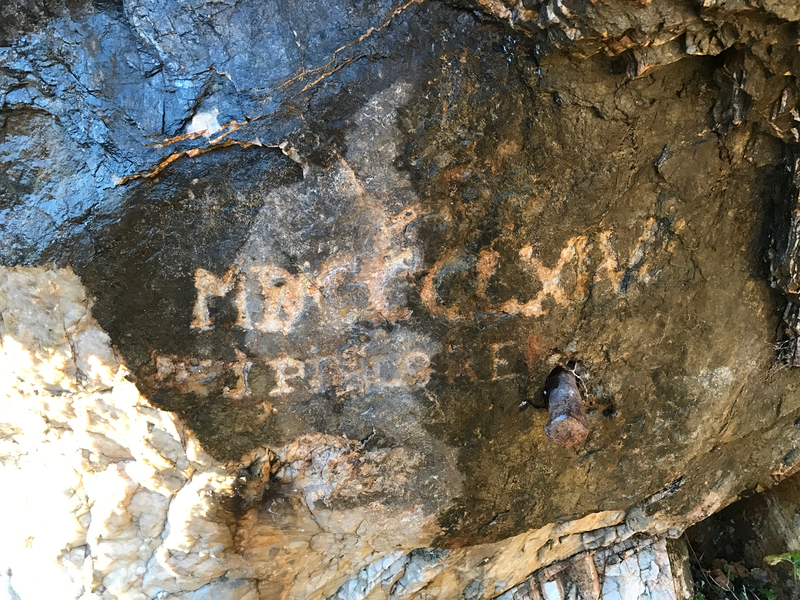 There are also reminders of human activity at the mine, including a metal rod in the rock face and also some writing. I assume it’s not graffiti – if it is, it’s rather classy considering the use of Roman numerals. I wonder what the significance of 1864 was? This sign at the top of the mine sums things up pretty well. The (pretty spectacular) view from above the mine. Just in case you’re confused about how Terbiumvägen got its name. Another road in Ytterby named for an element that was present in the mine. 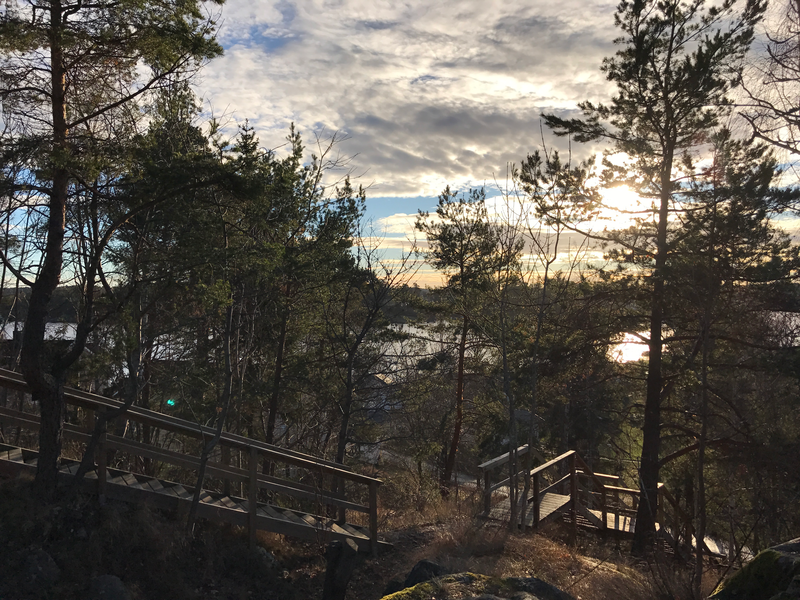 With all the sights seen, it was time for lunch and so we headed to nearby Vaxholm (which, incidentally, is where Carl Axel Arrhenius was stationed when he visited the mine at Ytterby and found the black stone that started the whole story). 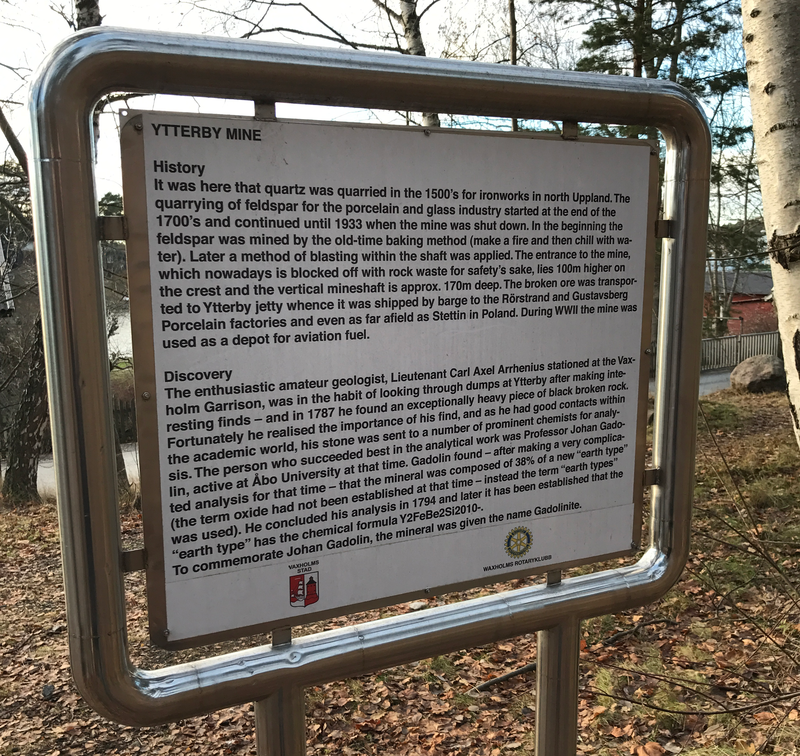 Apparently there is now a museum in the fortress that includes an exhibit about the Ytterby mine (we didn’t visit, but the folks from the Periodic Table of Videos have been there). Vaxholm Fortress – built in 1544 to defend Stockholm from naval attacks and now the home of a museum. And I even got to hold it… although I had to give it back eventually! 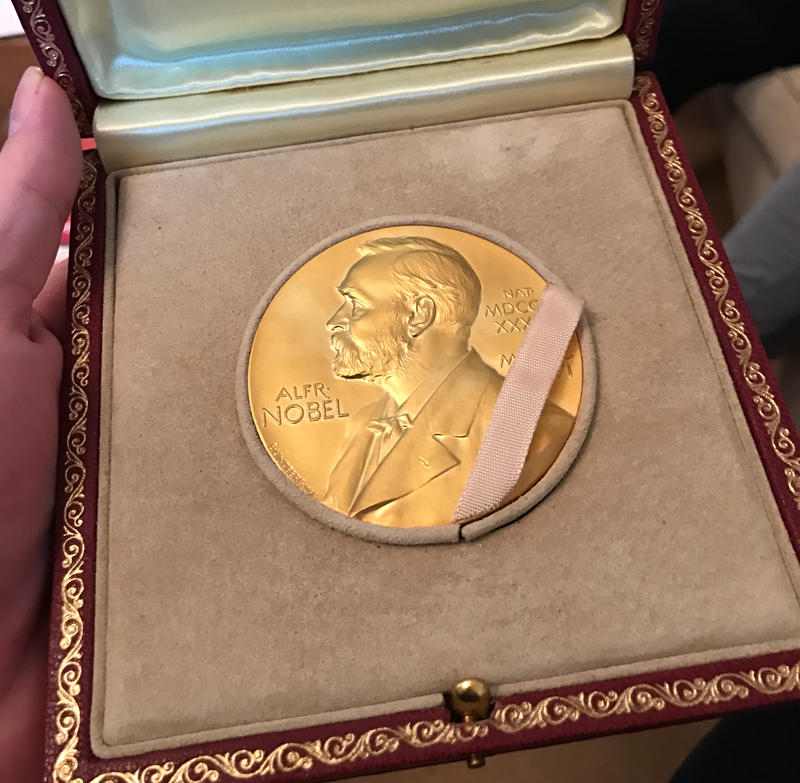 So that’s what the other side of a Nobel medal looks like. This entry was posted in History of science, Life in general and tagged #chemnobel, 2016 nobel prize in chemistry, arrhenius, chemistry, elements, erbium, feringa, gadolin, history of chemistry, molecular machines, nobel, nobel medal, nobel prize, periodic table, rare earths, sauvage, stoddart, terbium, vaxholm, ytterbium, ytterby, yttrium. Bookmark the permalink.